Summon: Give all enemy creatures in this lane Guard. 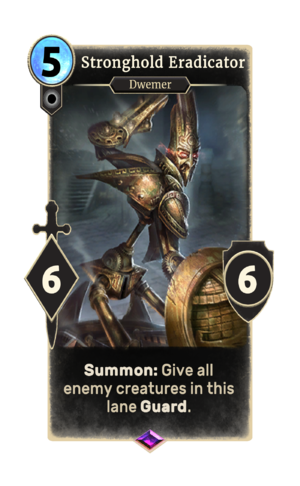 Stronghold Eradicator is an epic Neutral creature card. It is part of the Core Set. This card's summon ability applies the Hold the Line card effect.